Equity. Regardless of the education circles in which you travel, it is likely this topic has arisen in your conversations about school funding, curriculum resources, accountability, discipline policies or access to highly effective teachers. We hear equity so often, in fact, that we often assume everyone knows what we mean by the term. Too often educators confuse equality--every student has access to the same resources--with equity. To distinguish between the two terms, try looking at it from the viewpoint of a parent. Most parents practice equity with their children: they give their children what they need because the needs of their children are not the same. As a parent, I didn't treat my two boys the same way because they were two different individuals with different interests and aspirations. My younger son loved gymnastics so we invested a great deal of time and money to support his passion for many years. My older son was more artistic and loved to read. The time and financial resources we invested weren't equal; however, we were equitable because we provided opportunities for them based on their interests. Equity in education today is more than just the availability of an education; it's recognizing the fact that some students require more support than others to reach their academic potential. In schools, we achieve educational equity when all (not some) of our students receive the resources they need to reach their academic potential, graduate prepared to pursue their hopes and dreams and be a productive member of their community. Unfortunately, that's not what's really happening in many of our schools. One of the most glaring examples is funding. In 2015 The Education Trust analyzed funding inequity and found that per-pupil revenues in high-poverty districts were $2,200 less overall than in low-poverty districts. To achieve educational equity, we must begin by eliminating bias. We can't pretend it doesn't exist. I lost count of how often I heard the phrase "These kids can't ..." You can fill in the blank with myriad responses such as "read complex text, solve multi-step math problems, or participate in hands-on science experiments because they might not behave!" We must stop making generalizations about students based on factors such as their ethnicity, gender, race, family background, school location, religion and socio-economic status. And we need to call out our colleagues when they do. Educators can create equitable environments by believing in every student we teach and insisting that other teachers do the same. We have to communicate high expectations in a student-centered classroom and work closely with families and communities. When we do this, the impact on our students' academic and emotional growth is powerful. I had an "aha" moment when I heard Josh Parker, 2012 Maryland Teacher of the Year, in a video that is part of Courageous Conversations About Race In Schools. In "What is equity," Parker says we must find "...what fits the people in my room?" His observation reminded me of when I had to find the answer to that question after leaving my comfortable suburban Memphis classroom to teach in a high-poverty school. As a middle-class, middle-aged white woman, I thought I understood what the life of a child living in poverty was like. I was wrong! I believed that if I was the sage on the stage with effective classroom management skills and knew my content well, my students would learn and they'd be prepared for the next grade. I was woefully unprepared! I had no idea about the challenges my students were facing. One student, Angelo, was late every morning. He came into school dragging his backpack behind him, unmotivated about anything to do with school. I couldn't get mom on the phone, so I made assumptions that she didn't care that he was missing so much instructional time! Over time, however, I learned that Angelo was good in math, so I started to challenge him. I believed in him and held him to higher expectations. Before long, he began to soar--academically and emotionally. He was still coming to school late, but he was motivated and excited about learning. A few mon ths into the school year Angelo shared that his mom worked two jobs, and he was responsible for getting his two little sisters to school every morning. Rather than making him fit my way of teaching, I had to find what fit Angelo. He, along with many other students, taught me that I must really take the time to learn about the daily lives of my students and what motivates them. I had to create a student-centered classroom culture that promoted trust and safety; our classroom had to be a judgement free zone for Angelo to share. Equitable funding is critical; it helps provide the resources each and every child needs to be successful. But it costs absolutely nothing to believe in the potential of our students and hold them to high expectations. When we do this without judgment, they will rise to those beliefs and expectations. I've watched my students over the years do just that! I learned to find what fit the people in my classroom, which is what we all must do if we want to see equity in our schools. 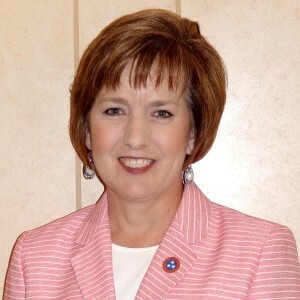 Karen Vogelsang is the 2015 Tennessee State Teacher of the Year and a member of the National Network of State Teachers of the Year. She teaches 4th grade at Winridge Elementary in Memphis, Tennessee.